(Reuters) – Israel plans to consult with the US government over a decision by home-renting company AirBnB Inc to remove listings in Jewish settlements in the Israeli-occupied West Bank, a cabinet minister said on Tuesday. Palestinians who want to establish an independent state in territory including the West Bank that Israel captured in a 1967 war welcomed the San Francisco-based firm’s move, announced on Monday and taking effect in the coming days. Israel called it a “wretched capitulation” to boycotters. “We will approach the US government because 25 US states have sanctions against American companies that boycott Israel,” Strategic Affairs Minister Gilad Erdan said on Israeli Army Radio. Palestine Legal, a Palestinian rights group that monitors US anti-boycott legislation, said on its website that some of the laws enacted at US state level apply both to Israel and “territories controlled by Israel”, an allusion to areas such as the West Bank. Chief Palestinian negotiator Saeb Erekat called Airbnb’s decision an “initial positive step”. Israeli settlements in occupied territory are considered illegal by most world powers. Palestinians deem the settlements to be obstacles to their goal of establishing an independent state. Israel disputes this. On its own website, Airbnb said “many in the global community have stated that companies should not be doing business here (in the occupied territories) because they believe companies should not profit on lands where people have been displaced”. Subsequently, it concluded it should remove the approximately 200 “listings in Israeli settlements in the occupied West Bank that are at the core of the dispute between Israelis and Palestinians”. Those listings would not include settlements in East Jerusalem, territory Israel annexed in a move not recognized abroad and which the Palestinians want for a future capital, or the Golan Heights, which Israel captured from Syria in the 1967 Middle East war. Erdan said Airbnb “will have to explain why it is taking this discriminatory and racist line here in particular and not in other conflict zones in the world”. Erdan, pointman in Israel’s campaign against the international Boycott, Divestment and Sanctions movement that wants to isolate it over occupation of land Palestinians seek for a state, offered government legal advice to any hosts who want to sue Airbnb. Erekat, the chief Palestinian negotiator, urged the U.N. Human Rights Council to release a database of companies “profiting from the Israeli colonial occupation”. 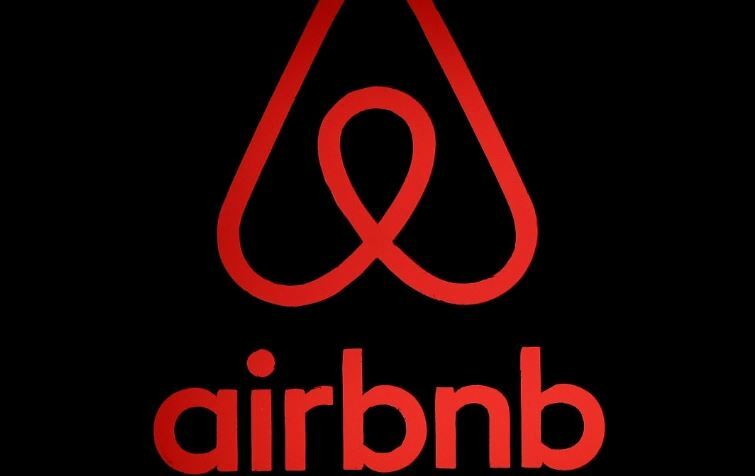 Oded Revivi, mayor of the West Bank settlement of Efrat, said Airbnb had violated its own stated mission “to bring people together in as many places as possible around the world”. Israel’s Tourism Ministry said it was looking at options, including new taxation, for restricting Airbnb activities throughout Israel. Airbnb’s move came on the eve of the publication of a report by Human Rights Watch on tourist rental listings in Israeli settlements. The New York-based group hailed Airbnb’s “important recognition that such listings can’t square with its human rights responsibilities”.